Unless you are a Samuel Pepys or Thomas Jefferson then it is almost inevitable that, however fine your library, there will come a day when it will be divided, sold, given away or otherwise dispersed. This is not necessarily a bad thing, since out of the debris of once coherent collections emerge new private libraries and new material for the great public collections. 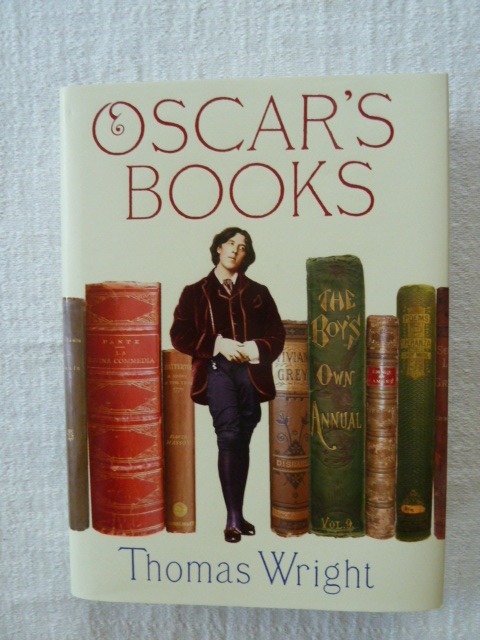 It is an endless recycling that is the wellspring of the collector's joy as long sought after books appear at auction, in bookshops and on on-line book sites. Many collectors mark their books in some way to identify their ownership. 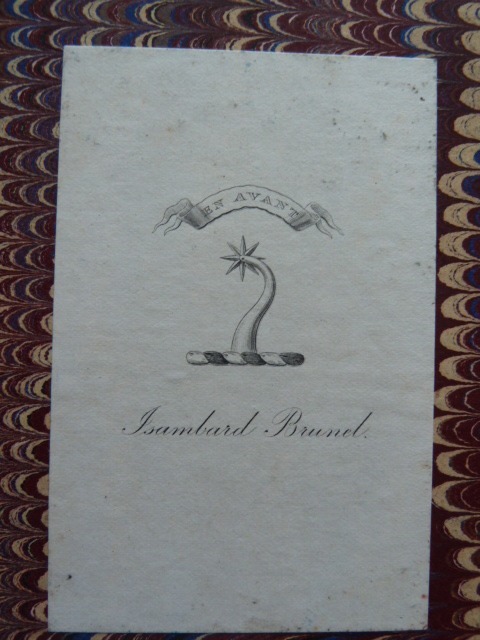 This may be by a simple signature, or by the inclusion of a personal bookplate normally affixed to the front pastedown. First edition fetishists may recoil in horror at the thought of an otherwise pristine copy being defaced in this way, but to a true booklover such symbols of ownership become a new trail to explore. They also make a tangible connection between you and that other owner - you have both handled (and hopefully read) this very copy. 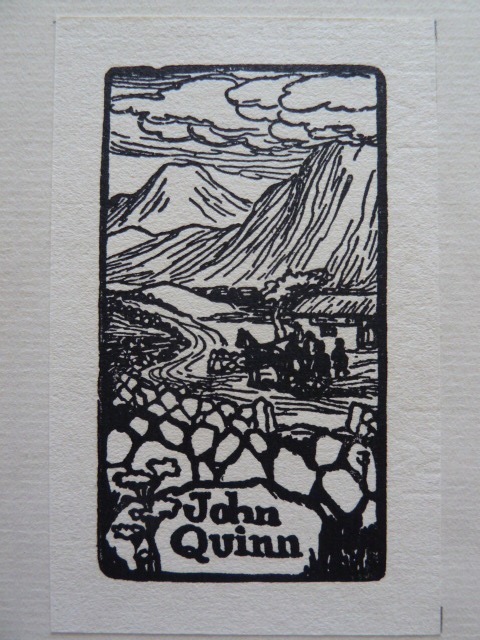 The bookplate of John Quinn in Arthur Machen's "The Three Imposters" (John Lane, 1895). This bookplate was designed for Quinn by Jack Butler Yeats. Quinn was an American lawyer and eminent collector of modernist works. He was a patron of many literary figures, including W B Yeats, Ezra Pound and James Joyce, from whom he puchased the manuscript of "Ulysses" (now in the Rosenbach Museum, Philadelphia). Quinn also successfully defended Joyce's "Ulysses" against obscenity charges. So, I now have in my hand a book from a collection that contained the manuscript of "Ulysses". Could it get much better? The bookplate of novelist Dennis Wheatley in Forrest Reid's "Walter de la Mare: A Critical Study" (Faber and Gwyer, 1929). Wheatley's library was sold by Blackwell's in 1979 and this was Item 1806 in their catalogue. 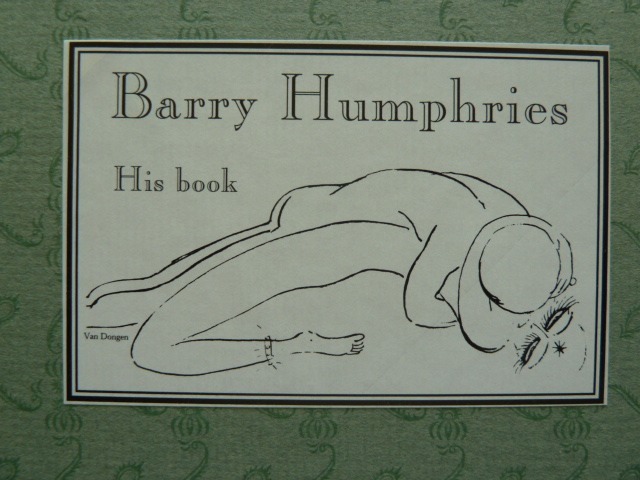 The bookplate of comedian Barry Humphries in Arthur Machen's "Ornaments in Jade" (Alfred A Knopf, 1924). 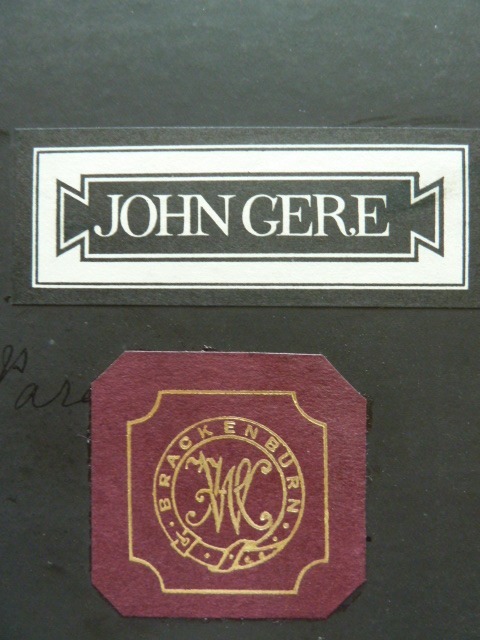 Two for the price of one - the bookplate of novelist Hugh Walpole's Brackenburn Library and that of art historian and curator John Gere in J Sheridan Le Fanu's "Wylder's Hand (Hutchinson, no date). A pencil note by Gere says that this copy was purchased at the Christie's sale of Walpole's library on 11/2/46. 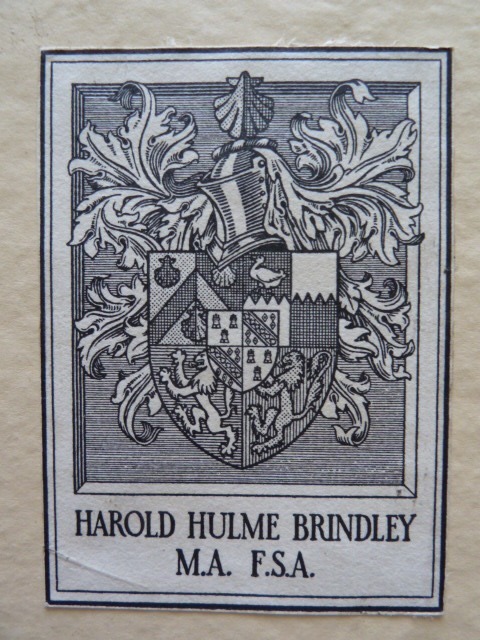 The bookplate of Harold Hulme Brindley, naturalist, in M R James' "Ghost Stories of an Antiquary" (Edward Arnold, 1904). Brindley knew James at Cambridge and this copy contains a manuscript letter from MRJ to Brindley as well as illustrations of the scenes in the stories pasted into the book by Brindley, making it a very special copy - far from a pristine first but infinitely more interesting. 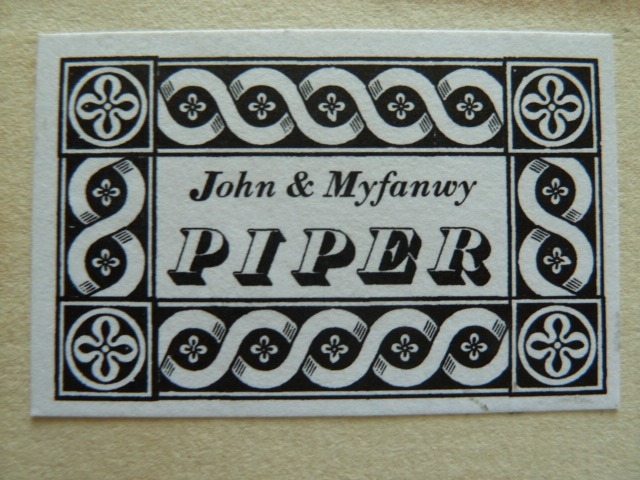 The bookplate of John and Myfanwy Piper in John Ruskin's "Modern Painters" (George Allen, 1888). 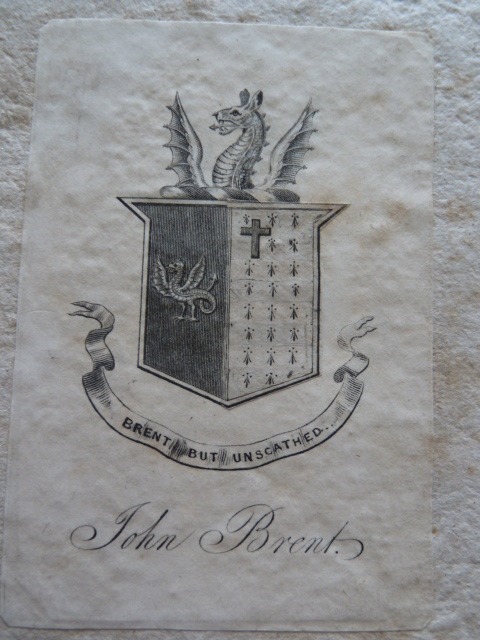 The bookplate of John Brent, antiquary and novelist in Henry Rowlands' "Mona Antiqua Restaurata" (Dublin, 1723). 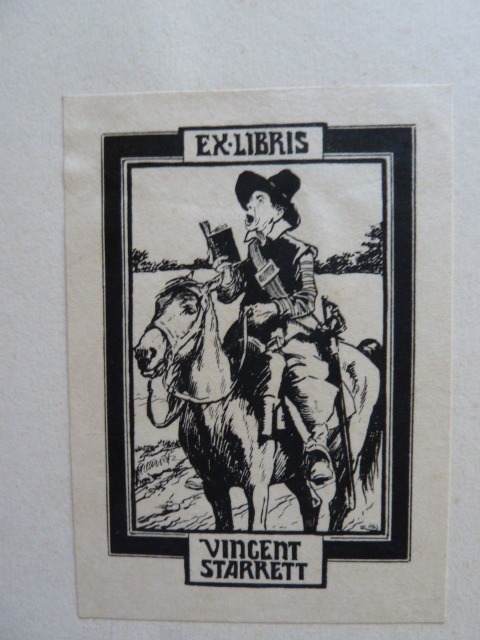 The bookplate of Vincent Starrett, bibliophile, author and Sherlock Holmes afficionado, in his own book "Penny Wise and Pound Foolish" (New York 1929). 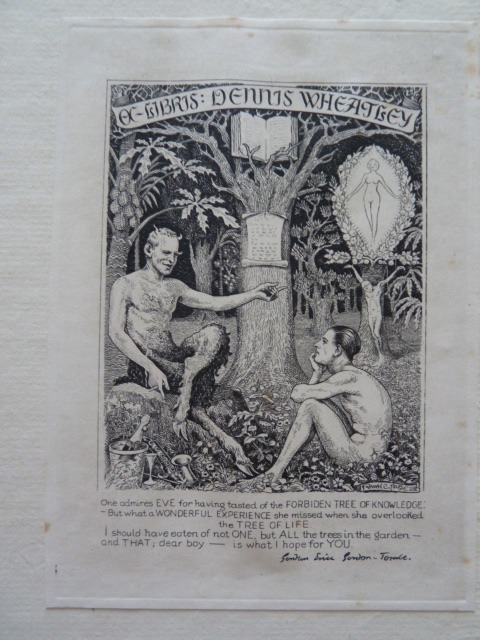 This bookplate was designed by the illustrator Gordon Browne (son of H K Browne ('Phiz')). 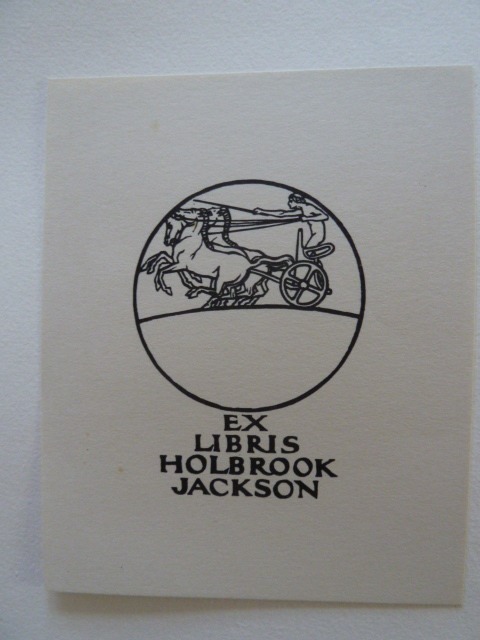 The bookplate of bibliophile, collector and writer about books, Holbrook Jackson, loosely inserted in the copy of James Joyce's "Storiella as She is Syung" (Corvinus Press, 1937), presented by the owner of the press, Viscount Carlow, to Jackson when he visited the press on 12th April 1938. Interestingly, Viscount Carlow has written a suitable presentation inscription to Jackson in ink on a preliminary blank page, but Jackson, perhaps in deference to the beauty of the book, did not paste in his bookplate. 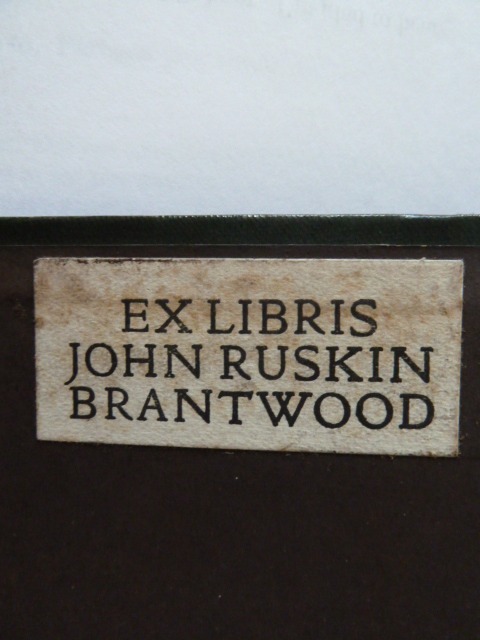 John Ruskin's Brantwood bookplate in Mrs Oliphant's "The Makers of Florence" (Macmillan 1877). Care is needed with Ruskin bookplates since, after the dispersal of his library, it is almost certain that some bookplates purporting to be Ruskin's were printed and inserted in books not from his library to increase their value. The story is told in James Dearden's "Facets of Ruskin". The example shown dates from circa 1890 and probably indicates Ruskin ownership of this book. It has become a standard exercise now to try to compile lists of books in authors' libraries long dispersed. 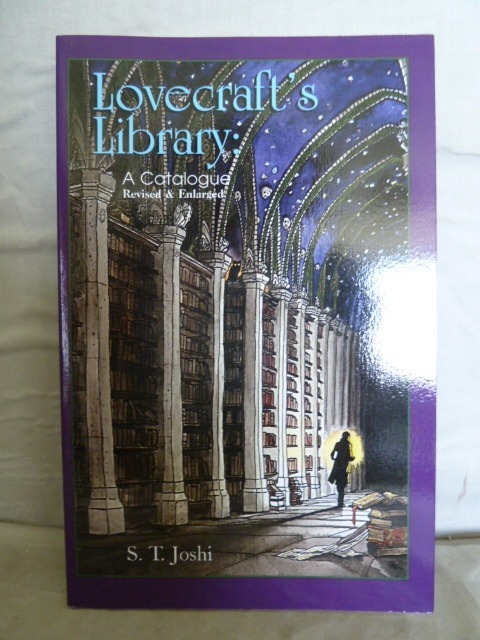 In our collection we have books with such lists for James Joyce's Trieste library, Ruskin's library, Lewis Carrol's library and H P Lovecraft's library. 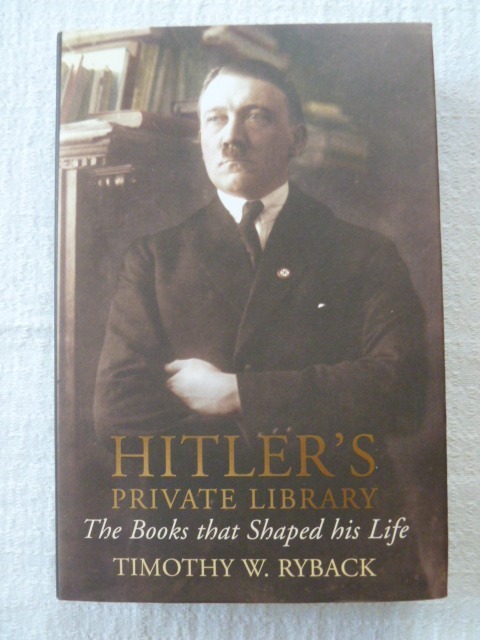 There are recent books on Oscar Wilde's library and even Hitler's private library. It was in Peter L Stern's superb bookshop in Boston that I had in my hand H P Lovecraft's copy of M R James' "A Thin Ghost and Others" with both Lovecraft's bookplate and his signature. Sadly I replaced it on the shelf to await another traveller in the realms of phantom libraries, or, to be perfectly honest, we couldn't afford it. As a new collector of Bookplates I found this a fascinating article. Not only fascinating, but most encouraging for a new collector. Many thanks.